Today's share is a Birthday card. I knew that you had to of been missing them since i haven't posted one in a few weeks, lol. 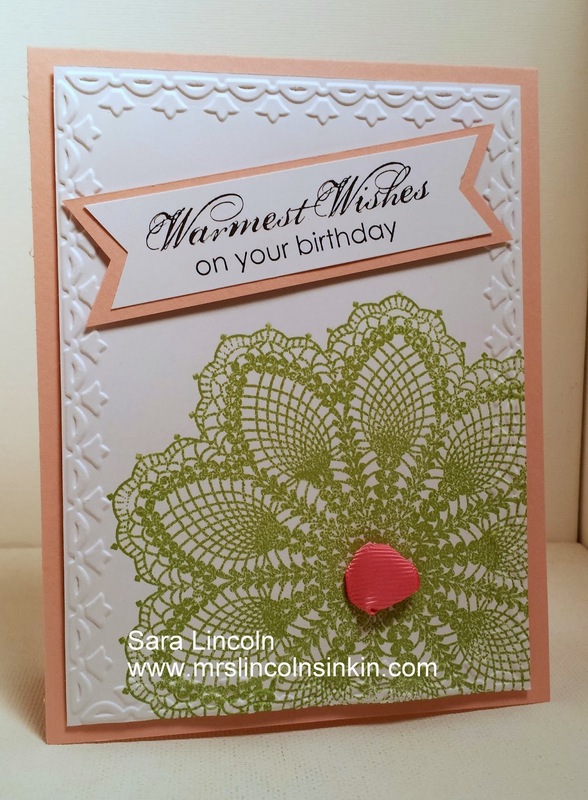 Today i used the Framed Tulip Frame embossing folder along with the Hello, Doily stamp set. This is a bigger stamp and i just LOVE it. You will be seeing a bit more posts later on of me using this stamp. 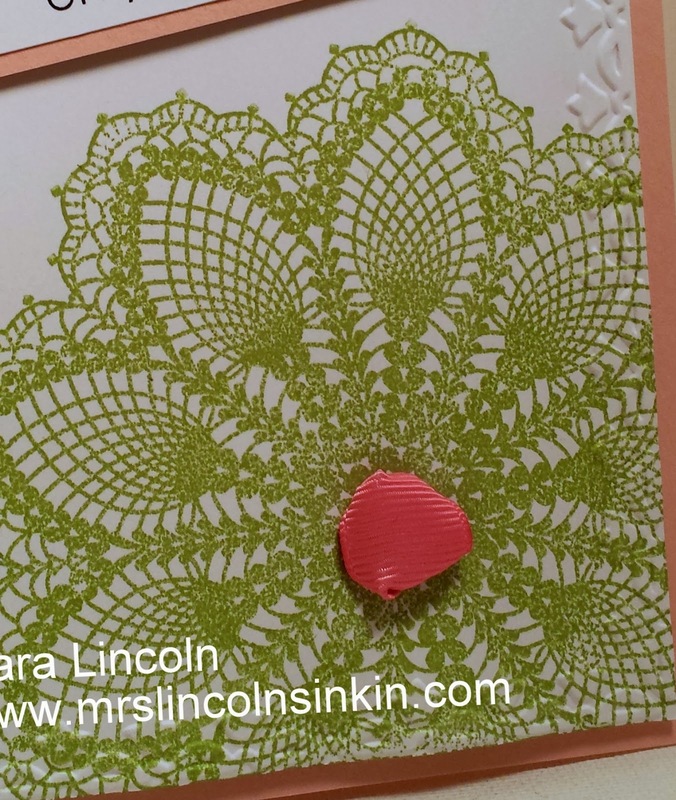 The base of my card is average size of 4 1/4" x 5 1/2" and is in the Blushing Bride card stock. The piece of Whisper White is what i used in my embossing folder. I stamped my image first!!! I tried it both ways and found that if i stamped it after i embossed the edges that the ink didn't get in between the tulips very well and i just didn't like how it turned out. I ran a piece of 4 1/4" x 5 1/2" in the embossing folder first and then cut off the edges once it was done. When it is all said and done it measures almost perfect at 4" x 5 1/4". Once my image was stamped i took my Regal Rose Ribbon, unfortunately this ribbon is now retired but i really wanted to used it in the middle of my doily. You could use any larger type of ribbon for this same affect, i just really loved the Regal Rose color. I'm sad that it is no longer available.